Welcome to New York! One of the most wonderful places on Earth, which belongs to the list of cities with the label “unique”. There’s nothing you won’t find here – great venues, inspiring art, amazing architecture, a wonderful mixture of people from all corners of the planet. It’s a melting pot, for sure! And, it’s no wonder why such a large number of people is rushing to find their place under the sun that shines over New York. However, what many people forget is the cost of living in New York. This fact is truly important if you want to have a normal life in NYC. Therefore, it’s very important to avoid making moving mistakes and ensure a smooth relocation. Make sure to choose the appropriate neighborhood based on your budget. One of the most important factors in the cost of living in New York is choosing the right neighborhood. It all starts from there. 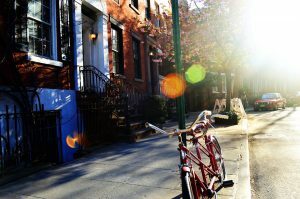 What we recommend, if this is your first time in NYC, is to take some time to make a thorough research of neighborhoods. The first thing you should do is actually creating a budget. If you’ve never done it, now it’s high time to do so. This will certainly help you in every aspect of your life. Also, it will teach you how to properly manage your money. Furthermore, this is one of the biggest traits of successful people. Why wouldn’t you be one, too? After you’ve done it, and now you know how much your budget allows you to spend on a rent, make a decision on a new neighborhood. Firstly, choose among 5 boroughs. Not every borough will cost you equally. Namely, Manhattan is the most expensive NYC neighborhood as estimated by Property Shark. Even 9 out of 10 NYC neighborhoods have been proclaimed to be overall the most expensive to live. Therefore, if you’re on a tight budget, you might consider choosing a different borough. For example, you can find a two-bedroom apartment in Sunnyside, Queens for around $1500 a month. This is also a good option if you don’t want to be too far away from Manhattan. On the other side, it’s rather quiet, with not much nightlife. Another option for you might be to share living costs with a roommate and enable renting a little bit bigger apartment, in a more attractive neighborhood. Although you’ll be probably sharing the same bathroom, we’d say it’s a good compensation for living a more comfortable life. A golden rule of savings says to put aside 10% of each paycheck. Become disciplined to not think about that money as something that you’ll spend during a shopping day. Rather, keep in mind that this money goes in the emergency fund, and only then should you use it. The rest should be allocated to paying the utilities and rent. You’ll do yourself a favor if you manage to pay everything in time. 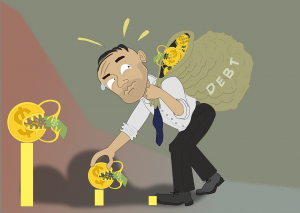 Piling up the debts is never a good option. 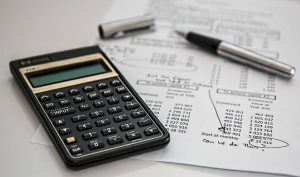 Of course, the amount of utility costs will depend on how many people share the same household, and whether you’re paying it all by yourself or share the costs. Get a monthly pass for transportation, and do your budget a favor. Lower the cost of living in New York by either going on foot whenever possible or by using public transportation system to reach your destination. Those owning a vehicle are required to maintain them regularly, pay for gas, parking, etc. You’ll save a lot if you obtain a monthly ticket for metro or bus, for instance. 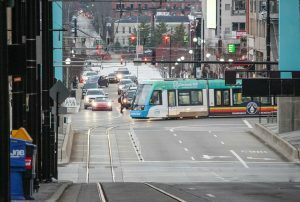 Besides, you’ll have access to metro, bus, and no stress for finding a free parking space, whatsoever. To sum this up, taking a taxi is not a good choice if you want to lower down the expenses. The kitchen in your accommodation is there for a reason. Therefore, it’s only logical to use it. Eating out every day is really not the wisest strategy to apply in order to cut down monthly expenditures. You’ll spend so much less money if you prepare some meals at home. It’s even recommendable to prepare yourself some snacks to eat during a day, or while you’re in the office. Plus, this way, you can finally treat your body with some healthy diet. It’s a win-win situation. Most meals in restaurants are very expensive, and the waiting lines are long. But at home, there’s nothing standing in the way between you, and the cooker. Shopping in New York is more than possible if you know where to look for. One of the many good sides of living in New York is that you can actually find them. If we talk about fashion, big names are to be avoided if you’re on a tight budget. So, in order to cut down the cost of living in New York, you might opt for more affordable brands and save an extra dollar by shopping during sales. As for groceries and house supplies, big market chains often ramp up promotions for various products. Sometimes, you can even find a good deal in thrift shops. You might want to check on that. Enjoy your night out during happy hour. It’s important to relax and have some time for yourself. Going out in New York can actually cost a lot. Luckily, there are many alternatives. 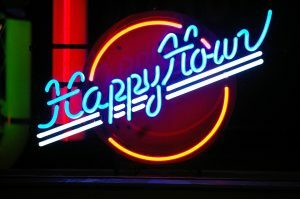 For example, certain bars offer happy hour. Also, during summertime, there are a lot of concerts or people playing instruments and singing in parks, especially Central Park. Furthermore, various museums and galleries have free entrance, so you can use this to enjoy some art and exhibitions. Cutting down the cost of living in New York doesn’t have to be mission impossible. There are tricks you can use to make your life more comfortable. On the other hand, NYC is a city which offers endless possibilities, like no other city in the world.